Archeage has many unique MMO mechanics, one of them being the combination of 3 (out of 11) skillsets, making for endless personalization, build possibilities & synergies. 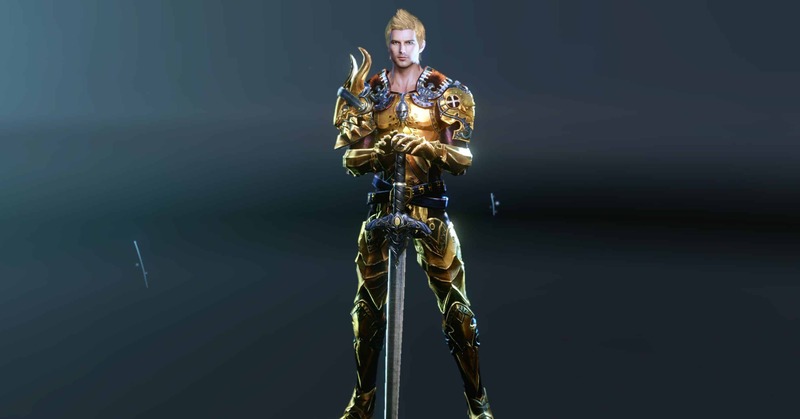 Archeage is famous for many things, one of them being its class diversity and possibilities for extremely personalized & unique builds / characters. You can mix & match any 3 classes (skillsets) from the 11 available together, and create one of the 130 uniquely named Archeage skillsets! The synergies you can achieve are literally endless, and there’s always undiscovered combos hiding for real addicts to discover and share, or keep for themselves and rule over Erenor! 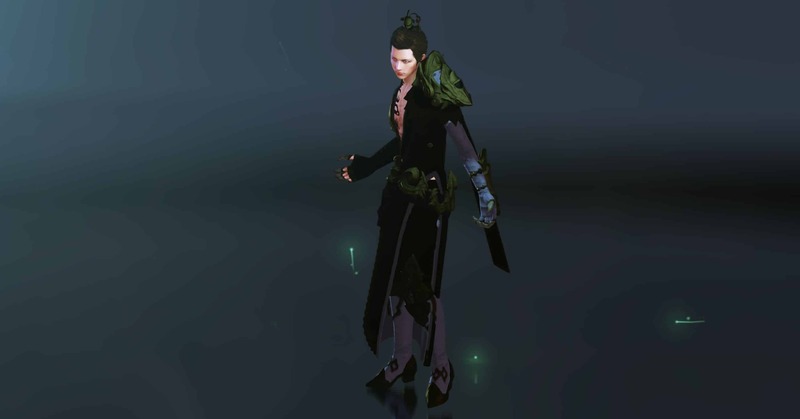 There is no real distinction between main & secondary skillsets in Archeage, we are simply splitting them this way because the 5 “Main” Skillsets are the ones you are allowed to choose from for your first one when creating a character. Archery Lore: The ancient plains warrior, Tahyang, pledged to protect the Firran tribes with true aim and an honest soul. He keeps this pact even in death by bestowing his powers on anyone with a pure heart. His disciples use ranged attacks to pursue foes unrelentingly and deal a vicious justice. Skillset Description: Focused on harassing the enemy from afar, Archery grants unparalleled control over the battlefield. Talented archers can interrupt enemy spellcasters, damage and disable groups of distant foes, or compromise a key target’s defenses with a constant stream of arrows. Archers begin with mostly single-target skills, but will soon get access to a few heavy AoE damage & CC. They have a fair amount of escape abilities, and can get nice advantages if they’re able to position correctly on the battlefield, and apply their buffs. Battlerage Lore: The Battlerage skillset is symbolized by Kyrios, the God of Destruction. The devastating attacks of his devotees bombard their enemies mercilessly, until finally their foes kneel, bleeding, and bow before pure, destructive victory. Skillset Description: Dedicated to melee combat, Battlerage users focus on closing the distance to their enemy and inflicting maximum damage upon arrival. Warriors devoted to this skillset learn to cleave through armor, smash aside their enemies’ attacks, and enter a powerful frenzy that allows them to shrug off even the most potent spells. Battlerage is the main “Warrior” class in Archeage, therefore this is the skillset you’d start with if melee combat is your main thing, and you can’t resist being the Aragorn of your group (I don’t even know why I’m coming up with these LOTR quotes, it’s not even theme-related🙄). Charges, spins, smashes and everything you heart would desire from a true Warrior are in place, while the occasional berserk buff & cc debuffs make this probably the most.. cliche, but at the same time “complete” warrior class in an MMO. Sorcery Lore: The ancient archmage Aranzeb symbolizes Sorcery. His followers leash powerful, unpredictable magic into versatile elemental and protection spells, just as Aranzeb once controlled his anger and sadness to confront his bloody destiny with serenity. Skillset Description: This skillset offers the most devastating long-range magic attacks, but their power comes with a price. Skilled Sorcery users must learn to plan around their spells’ long cast times, calculating the perfect time to freeze an enemy in their tracks or summon a deadly meteor. Gand.. I mean Sorcery is the bread & butter of magic damage in Archeage, and most probably your source of pure damage if you follow a magic-based skillset build, and DPS is an essential aspect of your gameplay. Be wary of the long casting times though, as placement is key for a wizard. 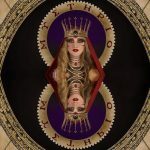 Vitalism Lore: The Vitalism skillset is symbolized by Kyprosa, who was tasked with guarding the gate to the dream realm rather than participate in reality. Now, her disciples heal and revive fallen allies rather than participate in bloodbaths themselves, providing crucial life support in battle. Skillset Description: Optimized for combat support, Vitalism was designed for experienced users who can nimbly switch between different weapons for attacking and healing. Masters of this skillset can shift the tide of battle by healing their allies, or turn their power on themselves to survive nearly any assault. Vitalism offers amazing buffs, endless heals, as well as a few nice CC abilities (and no more LOTR references I swear!). You can choose to use it for the OP sustainability, or base your build around it to become a powerful healer. Healing and protecting allies is not for everyone, so those chosen few that save our a**es in every MMO, will take great pleasure into controlling a Vitalist and discovering great protective synergies. Malediction Lore: The Malediction skillset is symbolized by Orchidna, the Demon Queen. Abyssal voices corrupting her mind unleashed a force of evil magic, that she passes down to her devotees. These demonic powers allow them to exploit the weaknesses of their enemies and further enhance their abilities when stacking charges. Skillset Description: A skillset fueled by the strength of the Abyss, it allows the user to bend the dark magic for their own benefit. Effectively integrating its Malice Charges allows the caster to both empower their own attacks and debuff the enemy. 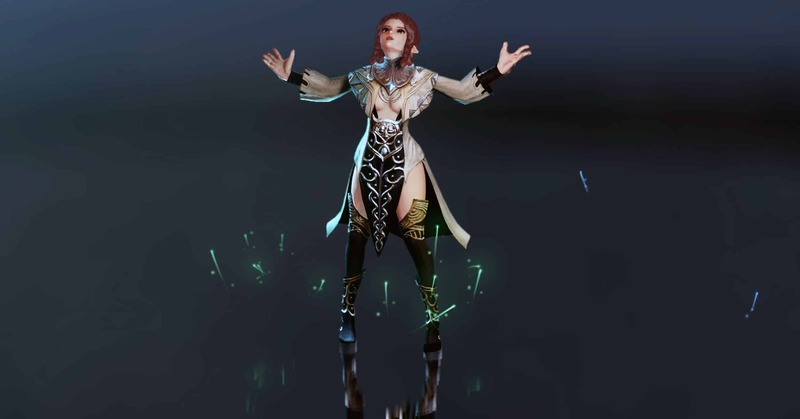 Malediction is the most recent skillset to come out in Archeage, making it the hardest one to find information and builds about as well. Another heavy magic damage DPS user, that focuses on curses, debuffs and cunning gameplay, as opposed to the Sorcerer (which they can make a great combo together obviously, for ultra-shattering magic damage!). Damage-Over-Time is obviously the strong advantage of a Malediction user, while offering quite a few CC and positioning options in combat. Unfortunately, there’s not many necromancer elements here, but it can still fulfill your necromantic fantasies, especially when combined with Occultism. As mentioned already, there’s no real distinction between main & secondary skillsets, apart from character creation. Nevertheless, all the skillsets below consist of mostly “secondary” ones, in a sense that they provide a lot of buffs & debuffs, which are essential of course, but come second compared to the main skillsets. Skillset Description: The true power here lies in the variety of debuffs this skillset offers, maiming enemies so you can finish them off at your leisure. Witchcraft.. another magic damage skillset! What, you didn’t want more? 😁 Don’t worry, because we are dealing with one of the best PvP skillsets here! The amount of debuffs offered in Witchcraft is mind-blowing, and consists of high-risk / high-reward gameplay – for those able to handle it! Fears, snares, mana burns, sleeps, knockbacks and the list of debuffs goes on and on. 📃 Any magic damage skillset can benefit from this range of spells, especially in PvP situations, where having no debuffs / escape abilities will render you useless. Skillset Description: Masters of manipulating energy, those who practice Auramancy can redirect harmful magic, push and pull enemies through space, and reduce incoming attacks to a fraction of their former potency. Auramancy is the ultimate protection skillset. With a multitude of buffs and protection spells to face any imaginable scenario, it’s an essential choice for true supports, as well as casters who want more self-sustainability. The Auramancers have a few heals, but their protective abilities derive mostly from damage absorption, resource regeneration, as well as cleansing debuffs from themselves and their allies. Skillset Description: Used most often to support large groups on the battlefield, Songcraft allows its users to grant a variety of powerful bonuses to all nearby allies. Talented musicians can also charm dangerous enemies, confusing and weakening their target with harmful arcane songs. Songcraft offers many healing abilities, and many buffs / debuffs, that can prove helpful in both PvE & PvP when you have a supportive role, and of course they shine in groups. An amazing PvP Support skillset, that you can match with many others, even if you don’t have a 100% supportive role. Skillset Description: The defensive abilities that comprise this skillset protect not only the caster, but also nearby allies, making it ideal for group play. Defense is exactly what its name implies. And you thought there was no able tank in the game? Well there is! And it’s not just a good tank for PvE, but for PvP too, offering many protective spells to allies and CC against enemies. As you can guess using a shield is a must here, as many of your abilities use it. You also have a taunt to aggro monsters like every proper tank, and the ability to heal and protect yourself. Skillset Description: Experts in close-range spellcasting, Occultism users take advantage of their skillset’s fast cast times and crippling curses to engage multiple enemies at once. Mages of this school often lead the charge in battle, weakening and disabling whole swaths of foes for their allies to finish off. Occultists make a great match with any caster skillset, since their DoT and fast casting times can help in many different scenarios, from PvE to PvP. So go ahead, and absorb that lifeforce! Skillset Description: Shadowplay users employ highly-mobile reactionary skills to exploit their enemies’ weaknesses. A combination of stealth and acrobatics allows trained practicioners to dodge deadly attacks or catch an enemy by surprise, while a variety of disabling strikes and poisons incapacitate foes for the killing blow. 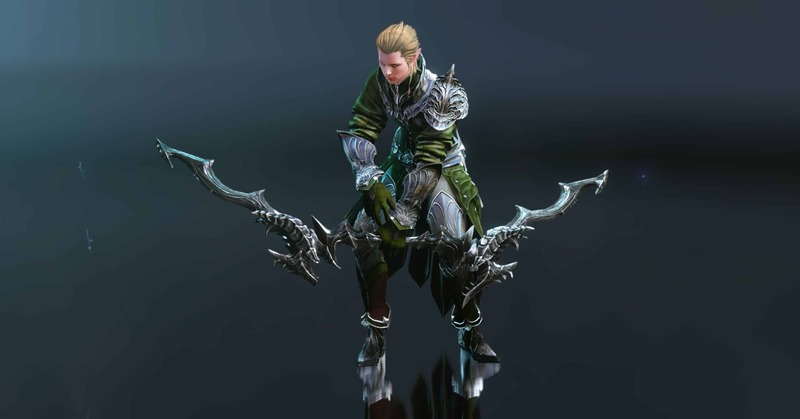 Shadowplay is the thief / sneaky / dagger-guy of Archeage, and he’s able to fulfill the role in a great way. With invisibility, poisons and fast attacks, you need great skill to uncover the skillset’s full potential, but the reward is even greater as well, in both PvE & PvP. There’s many ways you can build upon Shadowplay, but keep in mind that having some ranged attacks like Archery, or some extra protection / buffs will go a long way into your sustainability.